Chase the fox through the forest with this collection of fun and exciting printed muslin wraps, designed on our versatile and quality muslin. Soft and cosy to touch, our 100% natural cotton muslin blankets are an open weave providing great breathability and textural grip-ability when using as a swaddle. Its oodles of uses include baby swaddle, floortime play rug, stroller cover, nursing shield, lightweight blanket, change mat, burp cloth and much more. Great as newborn gifts! Bring back some vintage charm with Weegoamigo baby muslin blanket with Toy Box design. This gorgeous muslin features some classic favourites of days gone by; from wooden blocks and skittles, to old school robots and planes! Let Toy Box help you share your fond memories with your little one, of the toys they don't make these like they used too! The Mr Frosty Adventure Blanket is a delightful park scene. Pieced together using real photos and original drawings, it is guaranteed to delight all. Weegoamigo's Baby Adventure Blankets are a baby's best friend for when out and about. They feature fun, themed and action-packed digital designs on the outer-side while sporting a super comfy plush fleece on the inner-side. 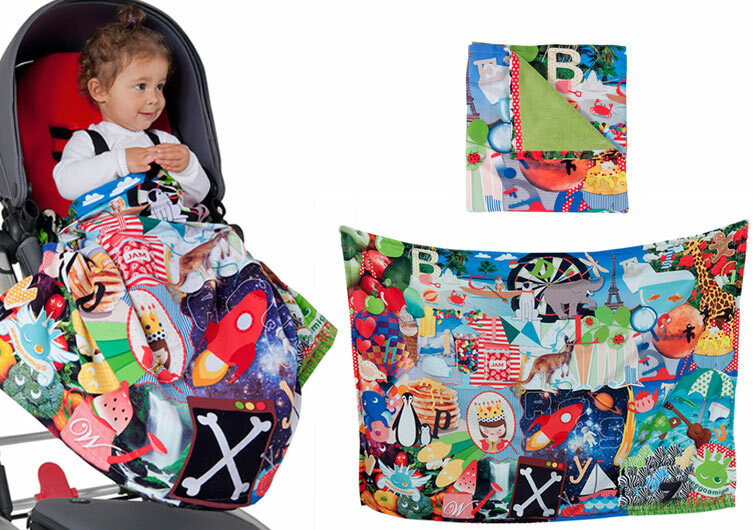 Perfect for a play in the park, in the stroller or relaxing at home these distinctive adventure blankets are sure to provide some imagination inspiration. The comical characters in Forest Friends will create a vibrant, playful, fun forest scene for your bub's bed. Weegoamigo is available in Baby bed linen in coordinating ranges that include the top selling Airwrap, Blankets, quilts and towelling. The perfect baby gift for newborns and baby showers. This beautiful soft cotton is smooth and clean making the perfect canvas for these gorgeous artworks. Premium quality materials have been used in our products for over 40 years. Easy clean, machine washable these fitted sheets are generously size with an elasticated base to fit the majority of mattress. Also available in the smaller size of Bassinet and Large Cradle. Designed in Australia and tested to world standards. The comical characters in Forest Friends will create a vibrant, playful, fun forest scene for your bub. Super soft fleece reverse layer with padded polyester fill and printed cotton outer layer with contrast ric rac trimming. Soft padding protects your baby from hard floors during tummy time. Super snuggly to cuddle up with, as a comforter or great travel item when out and about with your bub.